Scooper - Technology News: Should all roads and buildings make clean fuel from sunlight, water, and air? Should all roads and buildings make clean fuel from sunlight, water, and air? Solar energy is the world’s most abundant energy source. Solar photovoltaic cells have been in use since the end of the nineteenth century , improved efficiencies has allowed for commercial competition, yet the new horizon in solar energy is in the development of technology that will incorporate the production of fertilizer and food as well as clean fuels from sunlight, water, and air. This generation should see the requirement for every road and building to use solar fuels as a means to assist the realization of Sustainable Development Goals (SDGs) if the United Nations considers it. Solar fuel technology, compared to photovoltaics, is still in its infancy and thus is lacking in commercial application. The technology to reduce atmospheric nitrogen and convert CO2 into food and fertilizer is even further behind in commercial development, although several companies are working to create power plants around these ideas . The idea here is to develop solar-derived products compatible with available energy infrastructure, making solar fuels not only easier to use but reduce the costs associated with production of equipment and technology. There already are several approaches that are being used to create hydrogen-based fuels due to the simplicity of production. The most common way is by using hybrid water splitting biosynthetic system that divides water molecules (H2O) into their simple form. Attempting to produce more advanced solar fuels such as ammonia, methanol, or ethanol becomes a more complex problem as many of these require a two-step conversion process the first of which is the water splitting reaction as mentioned above. The second step, in the simplest form, is to mix the hydrogen with carbon dioxide and other chemicals to gain the desired reaction and product. 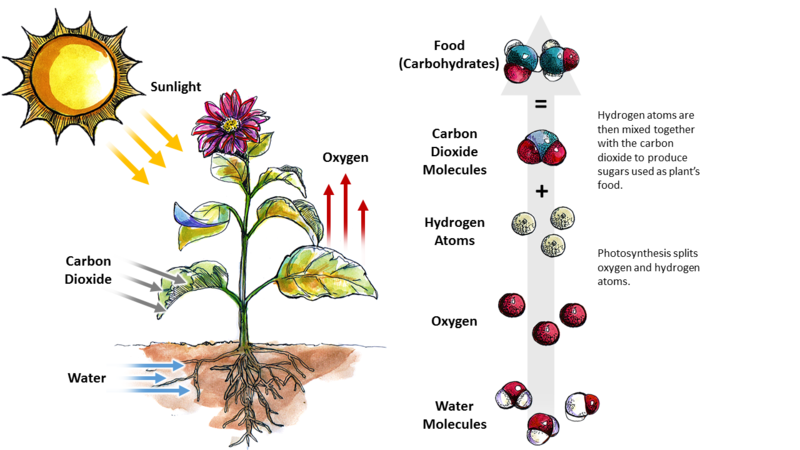 This process is similar to photosynthesis as developed by plants, algae, and some bacteria, which is why it is often referred to as ‘ artificial photosynthesis’. The ultimate goal of this research is to be able to store solar fuel energy in a stable chemical form within existing infrastructures without the need for expensive and heavy battery solutions such as used by electric cars of present. The development of solar fuel technology is attractive because it addresses two main issues. First, it addresses energy conversion and storage, an ongoing battle with growing populations and second it shifts current economies to a more carbon neutral state and relives the reliance on fossil fuels. The shift to solar fuels is economically viable because most of them, except hydrogen, are compatible with existing combustion engines. Also, the resources to collect these fuels are easy to find and very sustainable as they come from the sun, air, and water, all of which there is almost an unending supply, unlike other fuels. However, the artificial photosynthesis that is currently being used to produce solar fuels is not the most efficient method, due to it being in an immature state. As more research is done, efficiency will increase and the price will decrease, and with the abundance of resources available it is still feasible and could be a very profitable industry. There are many companies all over the world working on strategies other than artificial photosynthesis to drive the production of solar fuel. Joule Unlimited is developing E.coli bacteria as means of a catalyst and this technology is expected to become available for commercial use in 2017. SOLAR-JET , based in Europe, recently demonstrated the first ever conversion of solar energy to jet fuel, or kerosene, although their technology is not yet running at a high-efficiency rate. Other contributors from Europe are European Science Foundation’s EuroSolarFuels programme and SOLARH2. The largest single national investment in solar fuel projects has been by the Dutch government working with six Dutch universities. The €25 million project is set up to build a partnership with the existing industry and to develop new business structures. Korea opened the Korean Centre for Artificial Photosynthesis (KCAP) in 2009 at Sogang University and has since partnered with steel company, POSCO, to undertake joint research on the commercialization of artificial photosynthesis. In addition to this, early 2015 saw the announcement that Japan would spend ¥45 billion on hydrogen stations for Tokyo ; this effort to reduce the nation’s reliance on nuclear power may result in further investment in solar hydrogen. Additionally, the Japanese government recently sponsored the World Premier International Research Center Initiative where each multidisciplinary research areas receive around ¥1.4 billion per year for a period of 10 to 15 years; some of this research relates to artificial photosynthesis. There is also an ongoing artificial photosynthesis research at Toyota and Honda. Australia, one of the world’s leaders in solar research, is also looking at liquefaction of solar energy with two large hubs at Monash University in Melbourne and the Australian National University in Canberra. Proposals have been made for a global project on artificial photosynthesis like the Human Genome Project or the Apollo Project. Paragraph 123 of the Addis Ababa Action Agenda and Paragraph 70 of the Post-2015 Development Agenda Outcome Document call for the establishment of a technology facilitation mechanism, to be launched at the UN Summit for the adoption of the Post-2015 Development Agenda in order to support the sustainable development goals. It is proposed that a Global project on Artificial Photosynthesis, including solar fuels, solar food and fertilizer would be a valuable contribution to this initiative in terms of fulfilling the SDGs.